In early May 1940, the war clouds that started in Poland the previous year blew into France and the Lower Countries as the Germans cross the border thus ending the period known as "The Phony War". With the opening of hostilities, the Franco-British Armies executed their pre-war plan and marched into central Belgium to meet the enemy and to re-fight the First World War. The Germans however had devised a new attack. 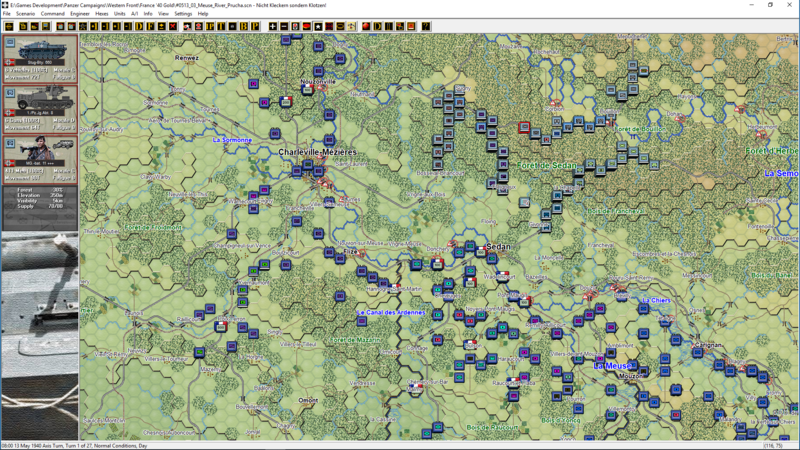 A bold and risky plan to push the bulk of their mobile forces through the Ardennes Forest, outflank the Allied forces and pin them to the coast. 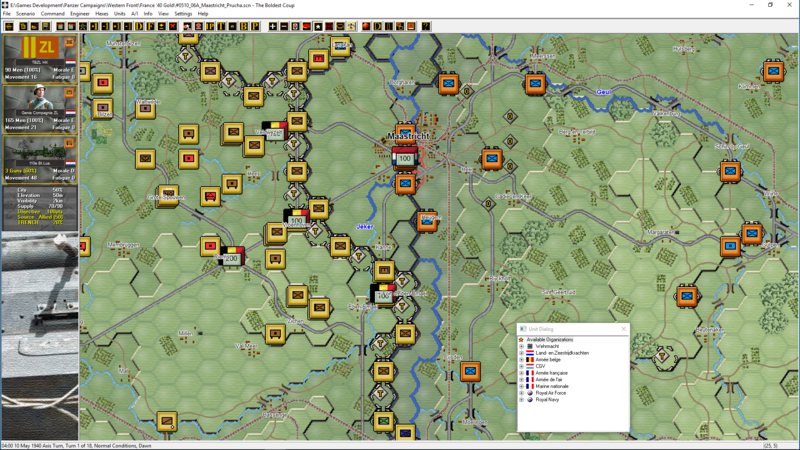 Will the German Panzer Divisions be able to duplicate this brilliant maneuver and this time defeat the Allies before the Army can be evacuated at Dunkerque? 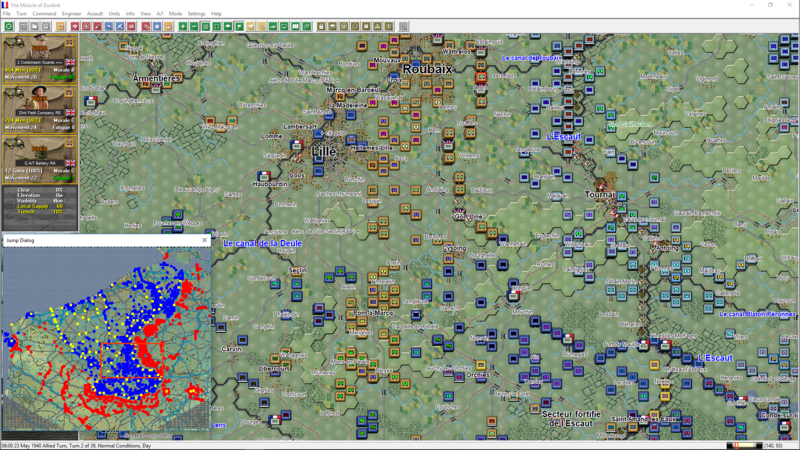 Or will the Allies rescue the situation like they did on the Marne River in 1914? 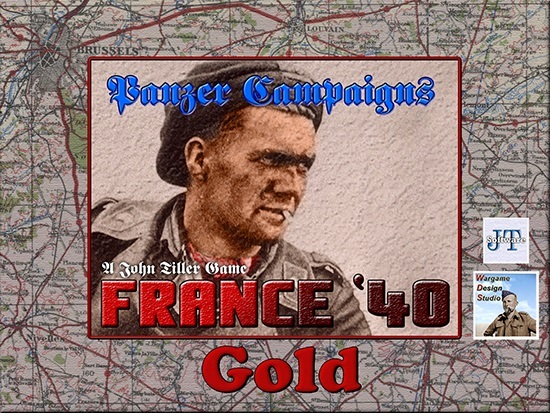 25 scenarios and campaigns focusing primarily on the period from 10-24 May. 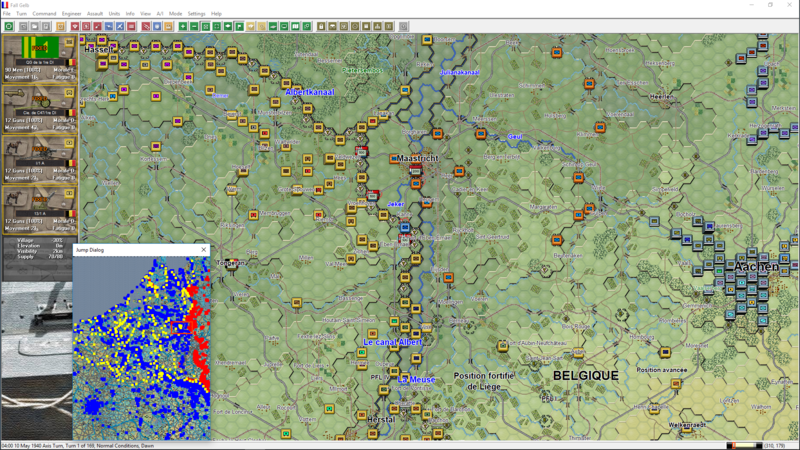 Campaign optional setups allow for either free Allied play from 10 May or Allied commitment to deploy historically in central Belgium while lightly screening the Ardennes. 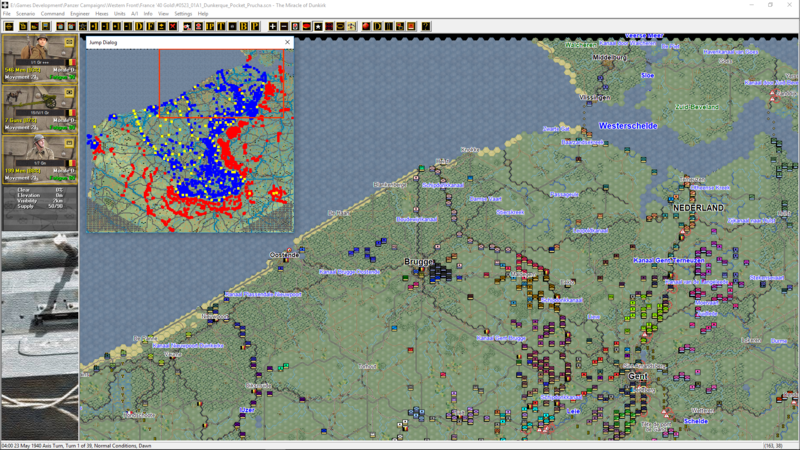 Map covers over 78,000 hexes that encompasses northern France, Belgium, Luxembourg and southern Holland. 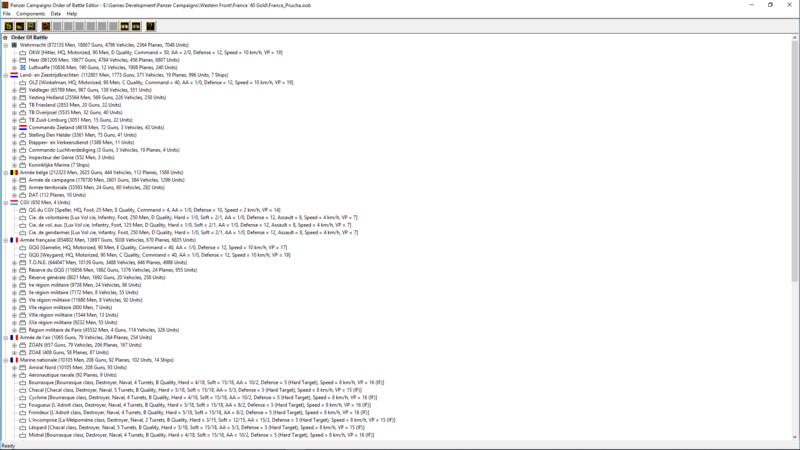 An additional 68 new scenarios. 24 are from the Ed ‘Volcano Man’ William’s Alternate mod and a further 44 new ‘Prucha’ scenarios from Michael Prucha and David Michas making 93 in total. These include both historical and hypothetical scenarios. 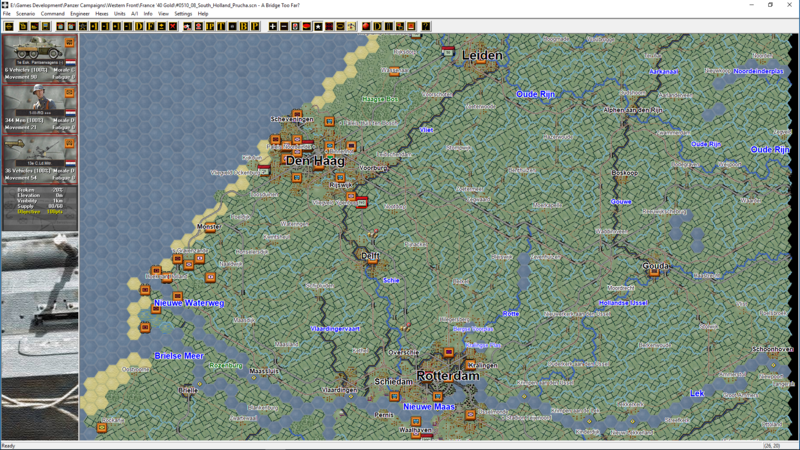 The Prucha scenarios cover the whole 1940 German campaign in North West Europe, including for the first time, the complete Netherlands campaign. 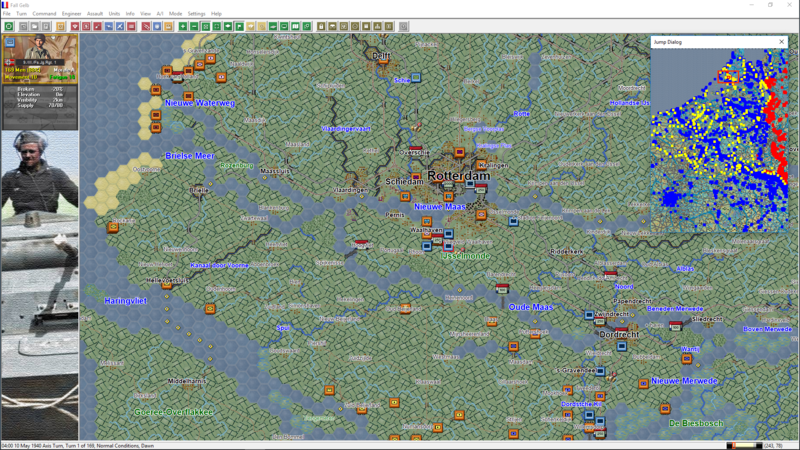 A new expanded map is now over 212,000 hexes in size, 2.7x larger than the original. 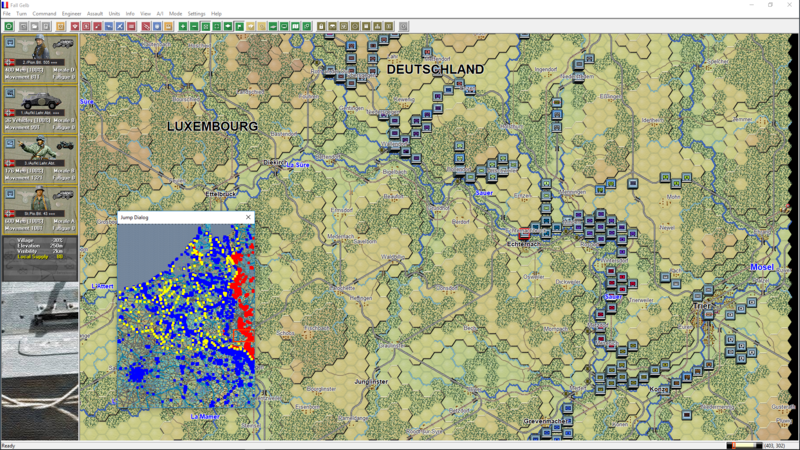 Game scale is 1 hex = 1 km, 1 turn = 2 hours, with battalion and company size units. 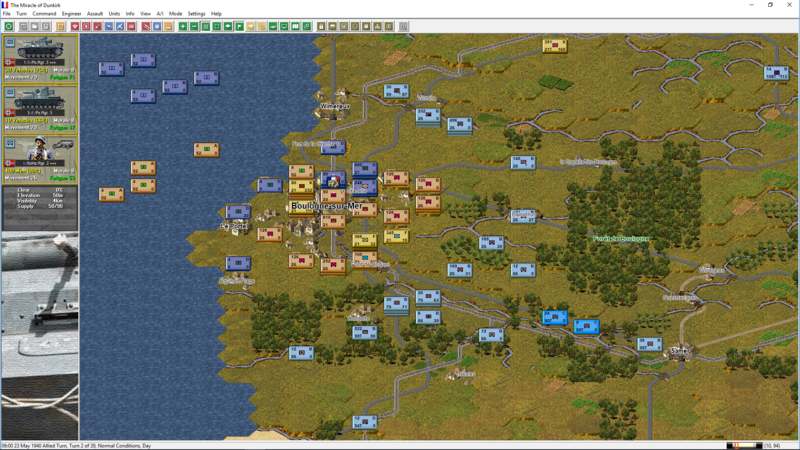 Order-of-Battle and Scenario Editors which allow players to customize the game. 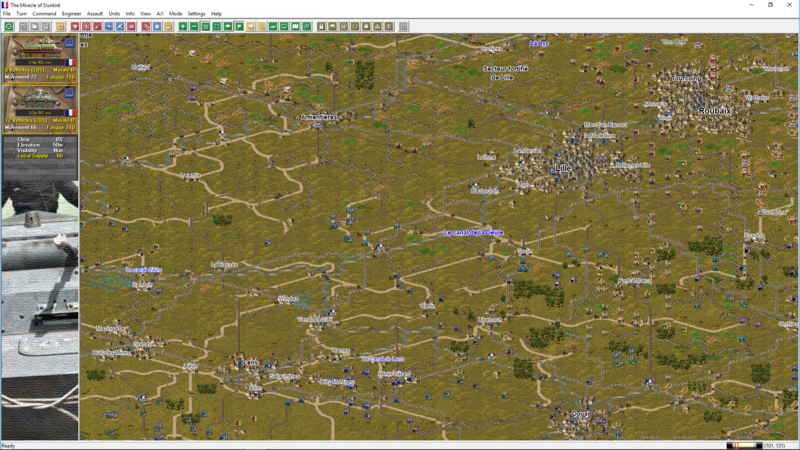 Sub-map feature allows the main map to be "chopped" up into smaller segments for custom scenario creation. Multiple play options including play against the computer AI, Play by E-mail (PBEM), LAN & Internet "live" play, and two player hot seat. 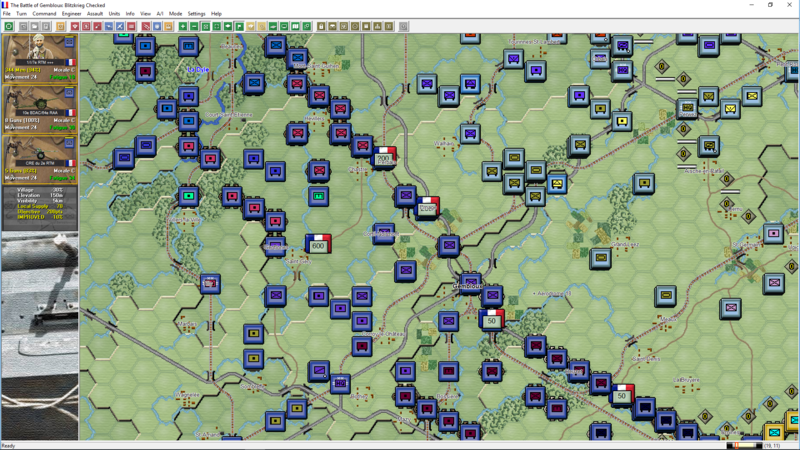 All new game graphics including terrain, in game counters and 2D & 3D units as well as the toolbar icons. Game enhancements include revised disruption movement and reinforcement ‘place all’ function from the First World War Campaign series.